For the final day of BM#48, under Chat, I have yet another delicious chat version. There is a big story behind this and one that’s quite funny if you realize that the person who shared this recipe, is yet to post it on her blog! Yes when I was asking ideas from Vaishali for making some chats at office for the December competition, she suggested I make Bread chat. Very simple chat made with fried bread pieces and the regular chat accessories. She said she had this planned for this month’s chats and I could easily make it with whatever other ingredients I have on hand. While I couldn’t actually make it at office, I wanted to make for Konda. So when I was making all the elaborate preparation for Katori Chat, I thought I would manage another one quickly. Sadly it took time and I never came about making it. After procrastinating for couple of times, by which time I am much delayed for posting on the blog, I finally made it this morning. Konda had her school, while Sankranthi holidays started for the boys. So with just one lunch box to pack, I thought I could make this Bread Chat for her breakfast. It’s very quick if you have the chutneys and other ingredients. I made two plates first, just to give her and for clicking. After a hurried click, she said she is ordering the second plate as well! She was also upset that I would give her that in morning rush, when she couldn’t actually sit down to enjoy it. Well here’s another quick chat to satisfy your kid, it surely helps if you stock your chat ingredients and it’s handy! So before the pro can post, here’s the adaption of what she is going to do later this month! 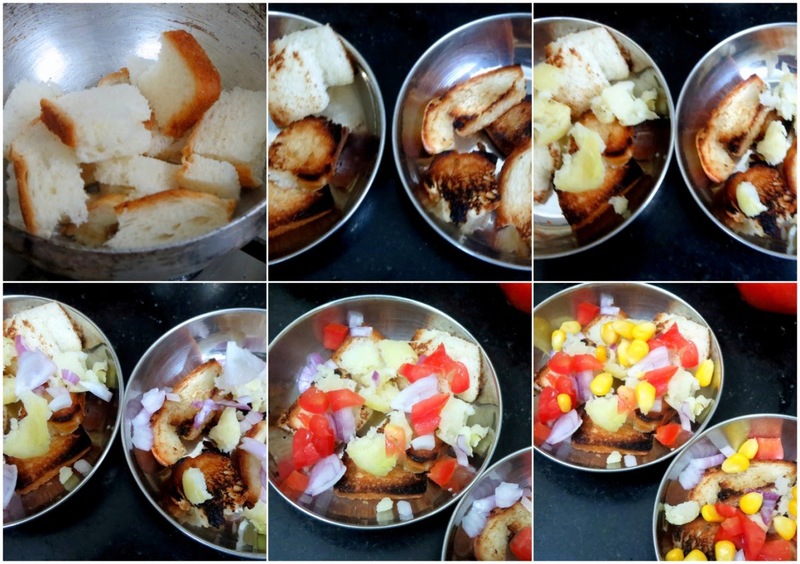 Cut the bread into small pieces, roast in ghee. It needs to be deep fried, I managed with pan frying. This is a simple as you go recipe, where you can add whatever is available with you. You can add cucumber, other ingredients as well. Hi , do you need to serve immediately after the bread has been fried or you can keep the bread fried before hand. Viji No the fried bread gets hard if you store it for more days. So it's almost like you should do it right away. This is quick and instant chat variety so you can make it on whim. Great idea. How about baking instead of frying? Does it get hard too? Interesting variation on bhel puri. I must try this some time ! This is better than making bread upma every time to use up old bread. 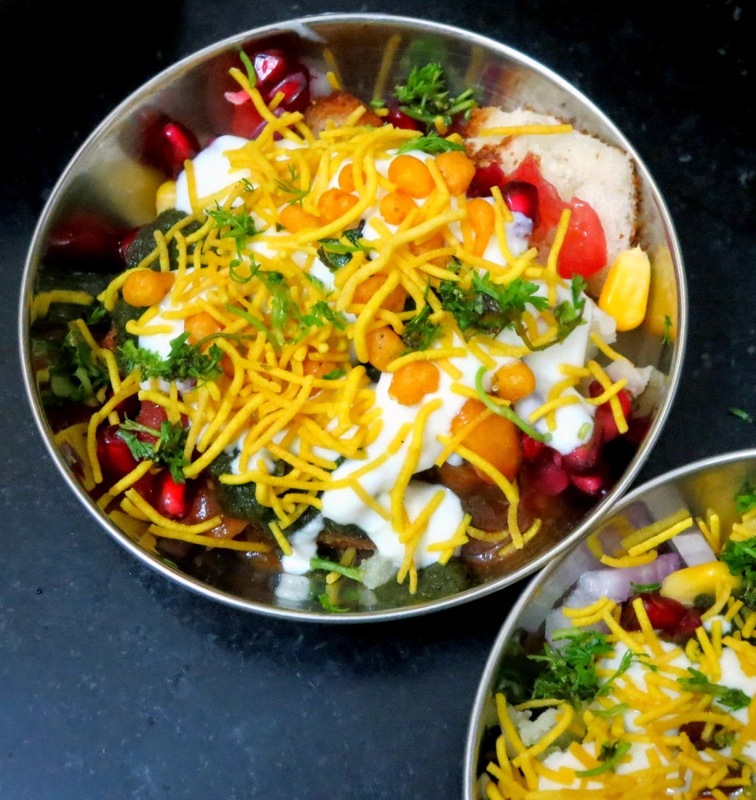 Ha ha Valli..I like that..
the chaat has come out perfect and is tempting me yo dig in….this is such a good one and I am so glad that Konda enjoyed it. 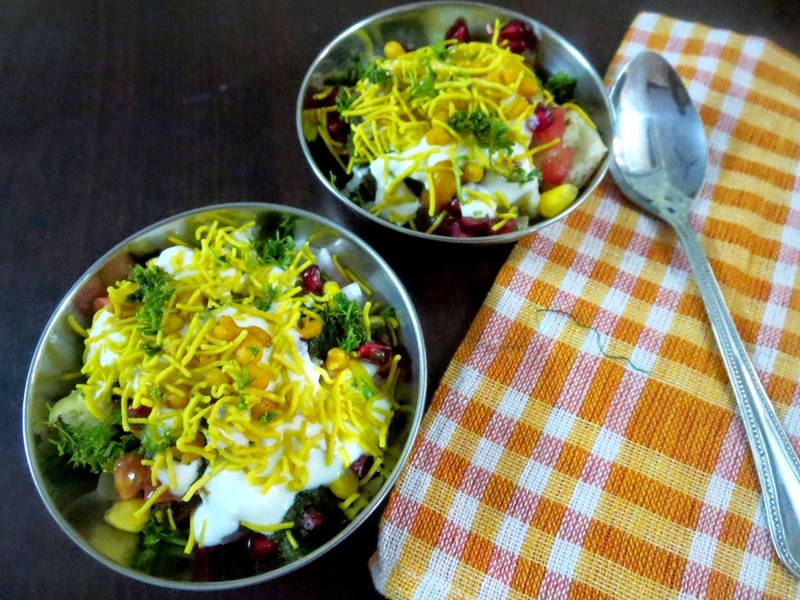 Prefect chaat for sudden cravings, love that bowl of bread chaat. Wow very innovative idea , chaat looks delicious . 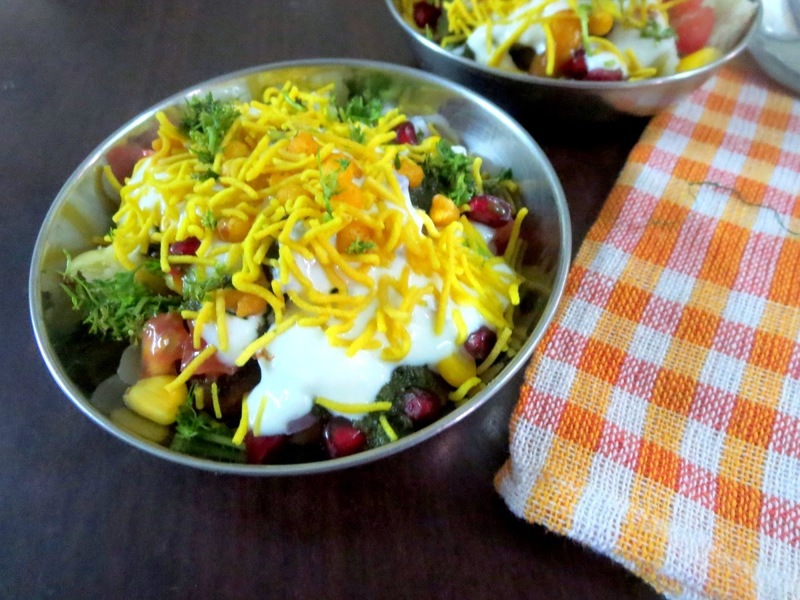 Bread chaat sounds innovative Valli,nice way to use the leftover bread.. 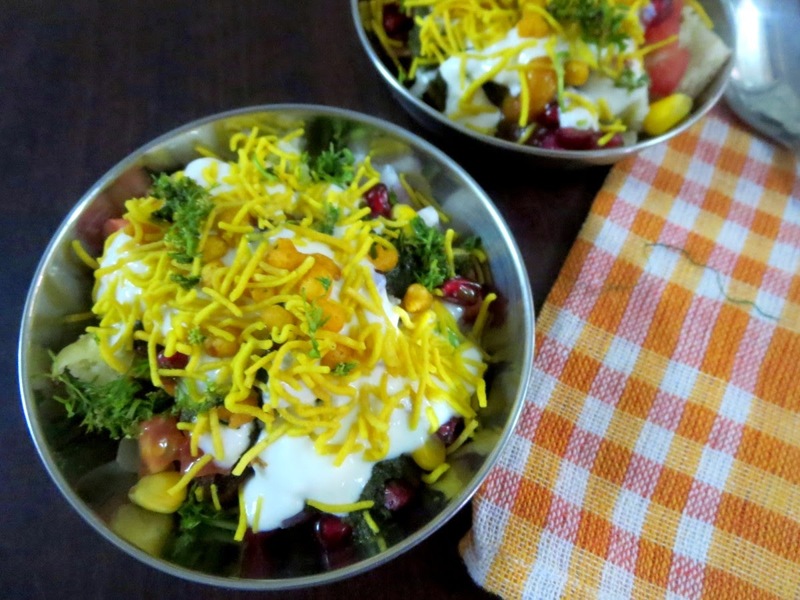 I love this instant chaat. 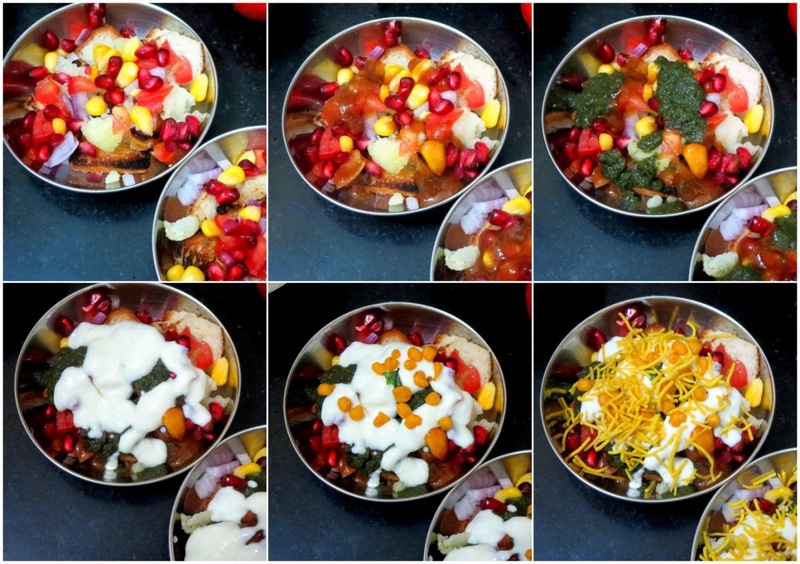 My older one once made chaat with croutons and she loved it. Plain fried/toasted bread makes it better! Oh man, that sure is a very tempting and addictive chaat with fried bread.